If you’re planning to become pregnant it’s very important to make sure you’re up to date on your vaccinations. Some diseases can be especially dangerous if you get them while pregnant, or if your baby gets them after birth. Also keep in mind: Your baby gets some immunity from you during pregnancy. That’s another way receiving all your recommended vaccines at the right time can protect both you and your child. You should also schedule a preconception checkup so your health care provider can look for any issues that may affect you or your baby. 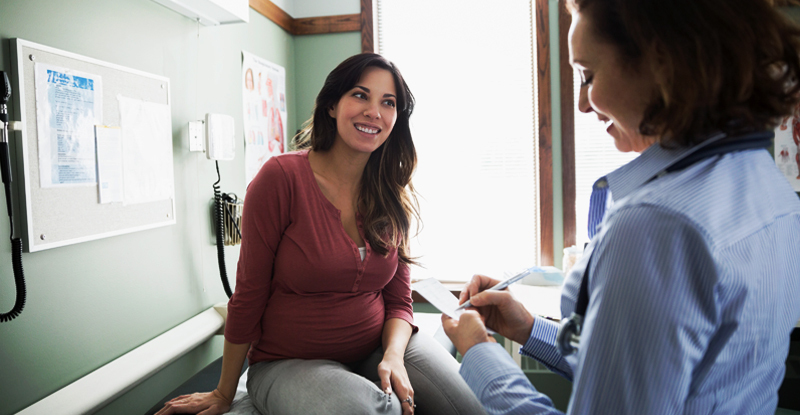 Your provider can also review your records and advise which vaccines you should receive before becoming pregnant. Flu: You should get a flu shot before flu season (October to May), if possible. Pregnant women who get the flu are more likely to develop serious problems like preterm labor or premature birth. You can get your flu shot before or during your pregnancy. Tdap: The Tdap vaccine protects your baby from pertussis (whooping cough) in the first few months of life. It’s actually better to receive this vaccination after you become pregnant because your baby will receive some immunity as well. MMR: This vaccine protects against measles, mumps, and rubella. You may have had this vaccine as a child, but your provider can give you a blood test to see if you need a booster. Measles and rubella are especially dangerous and can lead to miscarriage, stillbirth, premature birth, or birth defects. But you should not receive this vaccine after you become pregnant. Varicella: Better known as chickenpox, varicella can also lead to birth defects if you contract it during pregnancy. You can’t receive this vaccine after you become pregnant (and you should avoid conception for four weeks after you do get it). Check with your provider at your preconception checkup to see if you need it. There are other vaccinations your provider may recommend you receive, depending on your risk factors or if you plan on traveling outside the U.S. during pregnancy. You may have heard stories that receiving vaccinations during pregnancy can cause autism spectrum disorder in children. Studies have shown that there is no link between vaccines and autism. These vaccines are safe, and they offer protection against diseases that could be dangerous for you and your baby.